Many people who suffer from a stroke or spinal cord injury face a long road to recovery lasting months or years. The Ekso GT is the only battery powered robot FDA cleared for use in the treatment of individuals with stroke and spinal cord injuries. With the Ekso GT, therapists are able to offer a more complete treatment for patients. For Ekso Bionics the challenge was providing real-time recovery data to users in every country it operated in. It required the right service provider to connect all its exoskeleton devices in more than 170 rehabilitation institutions across North America, Africa and Europe. 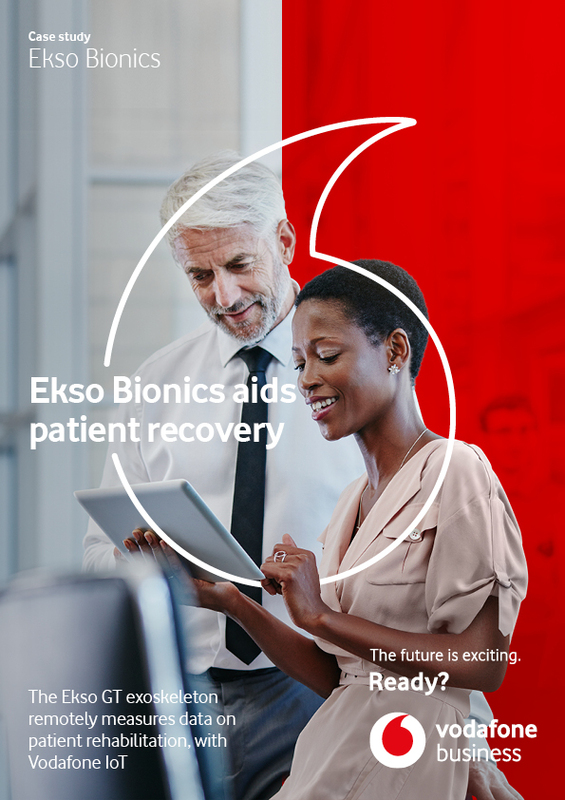 The Vodafone Managed IoT Connectivity Platform enables Ekso Bionics to connect all exoskeletons globally. Vodafone’s service allows therapists to track patient progress, with filtering records allowing them to adapt therapy sessions accordingly. Having a single managed connectivity partner simplifies the manufacturing process enormously, with a single globally roaming SIM per suit, regardless of where the device is being shipped. This enhances Ekso Bionics’ impact on the market, and therefore helps those recovering from stroke and spinal cord injuries improve their quality of life. We saw a 30% year-on-year increase in utilisation of the robotic exoskeleton which aided patients’ recovery thanks to increased awareness of customers’ needs and usage habits.